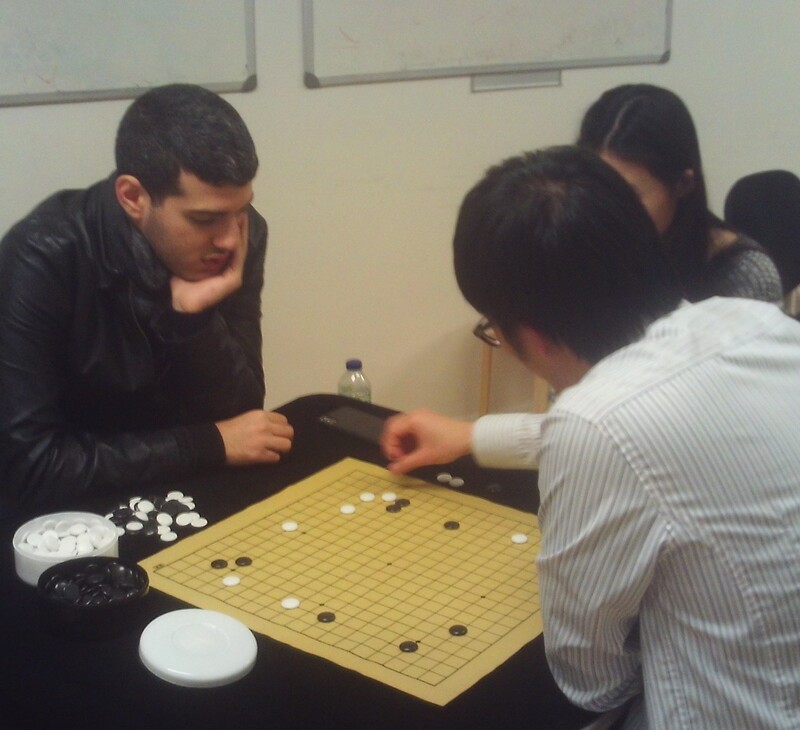 The 45th London Open got under way on Friday 28th December at its new venue of the London Go Centre. 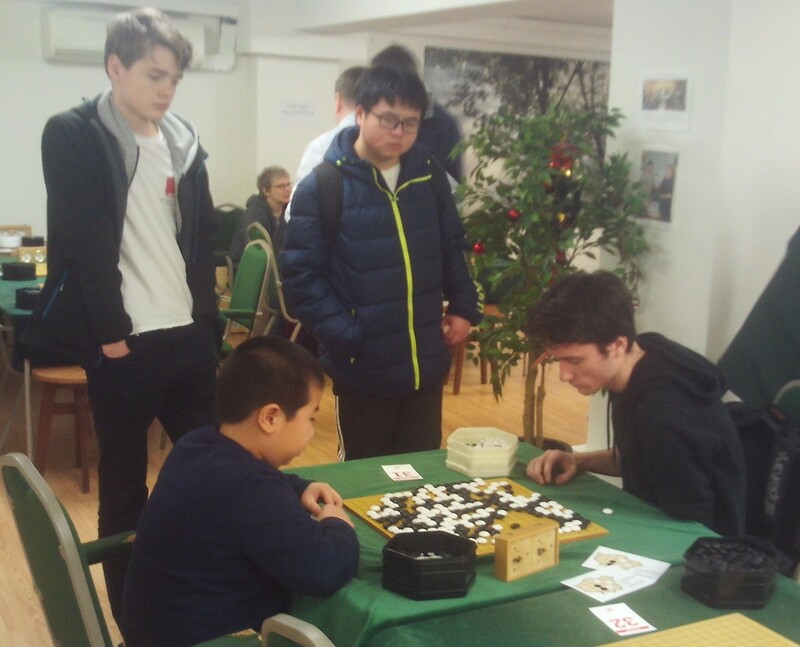 The event had to be limited in numbers because of the size of the venue, but still more than 80 players sat down to play the first round. Representing 14 countries, the players ranged from 30k to 7d, including some children, and there was a large party from Germany. Top British youth player Tom Bradbury is seen right in a warm up game before the event started. 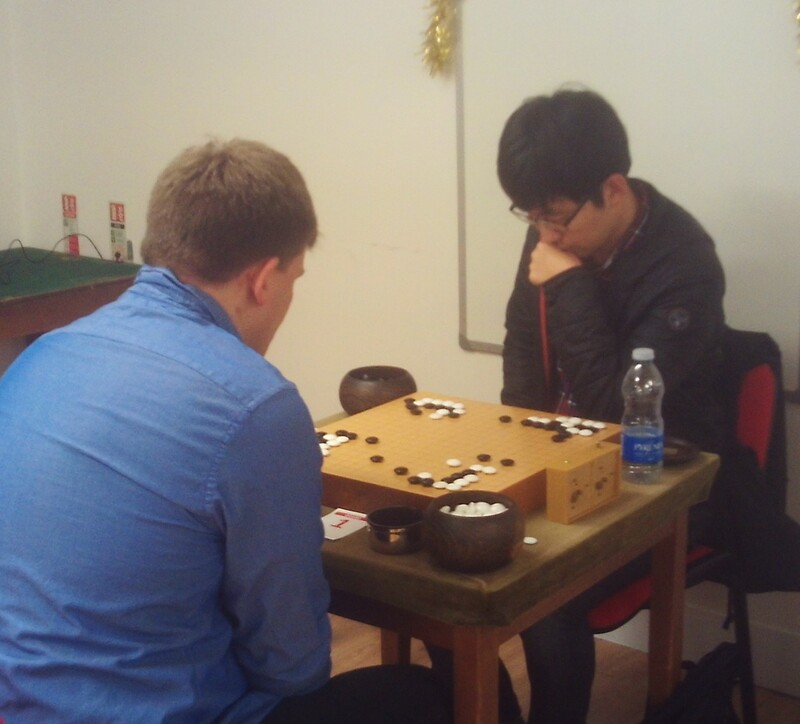 The person to beat this year is likely to be Oh Ch-Min (7d) from France, who is seen at the bottom in his first round game. Teaching this year is being provided by European professional Ali Jabarin, from Israel, who is shown in an analysis below. The event continues until Monday 31st.